Since the 90s, granite was the top-of-the-line for counters. However, quartz is now the hottest trend. Like granite, quartz is durable and can be expensive; but has more finish options, colors, and styles. It’ll give a fresh look to your new kitchen or bathroom. You’ll see beautiful, deep specialty kitchen sinks in brass, bright metallics, and hammered finishes. For bathrooms, intricate designs and details make this kitchen aspect look like a piece of art. 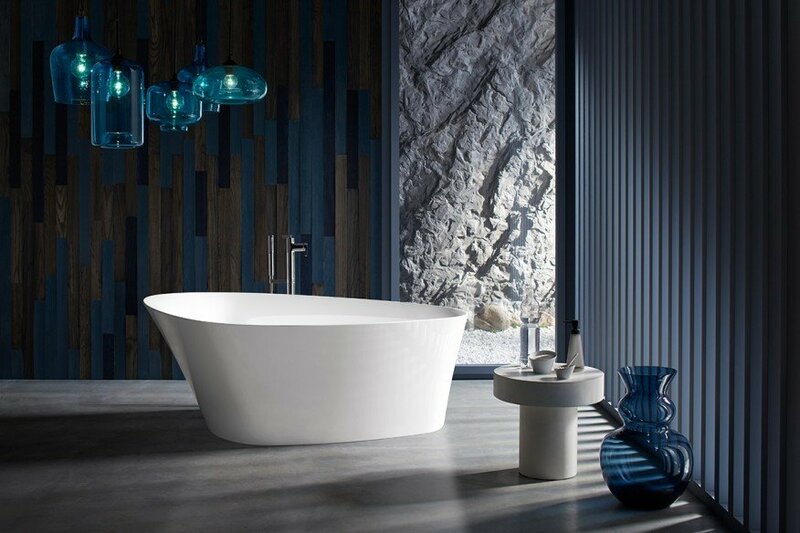 Check out Kohler designs and others. Although white cabinets will always be classic, many people are tired of having a kitchen or bathroom without any color. The kitchen is considered the heart of the home, so give it some life. Consider wood tones in warm chestnut, pale ash, or painted in pale or dark turquoise, blue, green, or even black. Another trend is to use a dark color on base cabinets and lighter shades on the uppers. Another new trend – but one that is gaining more popularity – is to eliminate the upper cabinets. As people head toward the minimalist movement, fewer cabinets make a kitchen look cleaner and more open. If you add a walk-in pantry or antique armoire, you can balance the lack of storage. Some clients add open shelves, but do it in black metal, not wood – another new trend! Like white cabinets, subway tiles are classic. However, why use what everyone else has when there are thousands of shapes, colors, and patterns from which to choose? Especially in a small bathroom, try something fun. A colorful backsplash can give your kitchen some pizzazz. If you’re afraid of too much color, use an unusual shape or a tile with texture. Remember your mother’s or grandmother’s kitchen in the 70s with harvest gold and avocado green appliances? Everything old is new again! Top appliances are no longer stainless, they’re in blue, red, gold, or even painted to look like a British phone booth or modern art. Moreover, don’t worry about matching appliances – get different colors if you want. For years the trend was brushed nickel, now it’s gold. Not shiny brass – this time it’s rose gold, gold patina, or black golds — a gorgeous twist on traditional. If there’s one trend to remember for the coming year, it’s color! 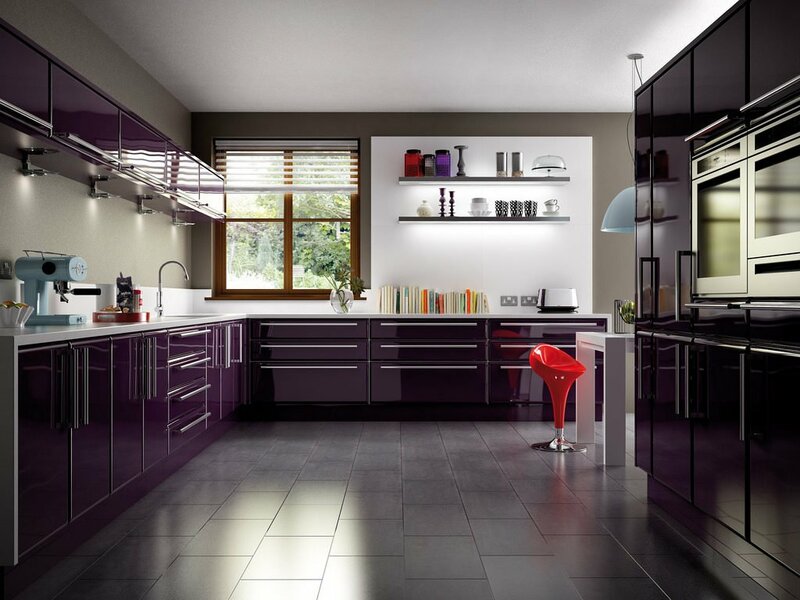 Appliances, tile, cabinetry, doors, and more kitchens and bathrooms are now alive with color. Take your time and choose wisely, but don’t forget to have some fun. It’s your home, after all! Founded in 1998, Deron Butler established Joseph Douglas Homes as its principal architect and founder. They have been voted one of Greater Milwaukee area’s best home builders receiving an A+ rating from the BBB (Better Business Bureau). They can bring your vision to life with outstanding custom designs, quality craftsmanship, and excellent prices. Let Joseph Douglas Homes build your dream home! Contact Joseph Douglas Homes.